Comodo® employs a team of over 600 people who have a passion for meeting these challenges head on - Creating Trust Online for individuals, internet merchants, small to medium businesses and large enterprises. In March 2015 Trustico® entered into a partnership agreement with Comodo® whereby we'll promote, sell and provide a vast array of Comodo® security solutions. Comodo® products are available to new and existing Trustico® customers at competitive prices. Encrypting sensitive information at all stages of its lifecycle is a proven method of keeping it safe from hackers. Strong Public Key Infrastructure (PKI) encryption through digital certificates ensures that the encrypted information can only be used by authorized parties. The industry's broadest array of digital certificates encrypt the information exchanged between a site and a site visitor, preventing unauthorized use of that information by hackers. Website visitors recognize a site using digital certificates when they see a yellow padlock or green browser address bar. Authentication is at the heart of trust - it's the process of confirming that something or someone is genuine. Hackers are counterfeiters and impersonators - they thrive on deception. Trust is created when individuals, businesses, websites or software publishers are authenticated to ensure that they are who they say they are, and that their information has not been tampered with. This trust is the core of successful online businesses and trusted online interactions. 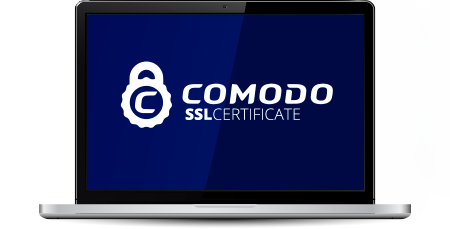 Comodo® Extended Validation SSL Certificates provide the highest level of business authentication available according to standards set forth by the CA/Browser Forum. The green HTTPS browser address bar assures visitors they are interacting with a verified business on a secured domain. Comodo® Code-Signing Certificates provide assurance of a software publisher's identity and that a software program being installed has not been modified or altered since creation. If you require any assistance or are looking for further information about Comodo® products, please Contact Us. Our staff are ready to assist with information and support upon request, we look forward to welcoming you as a Trustico® customer.